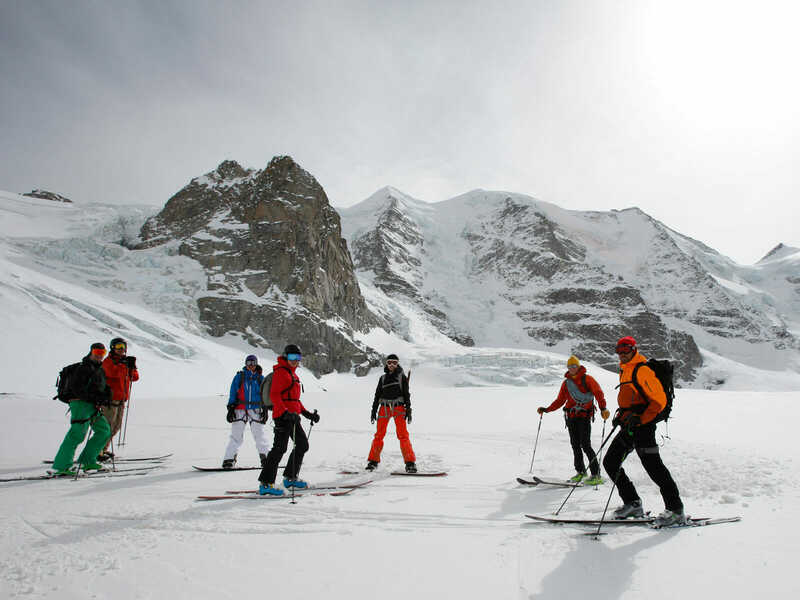 The ski tour on the most beautiful snow and ice in the world! 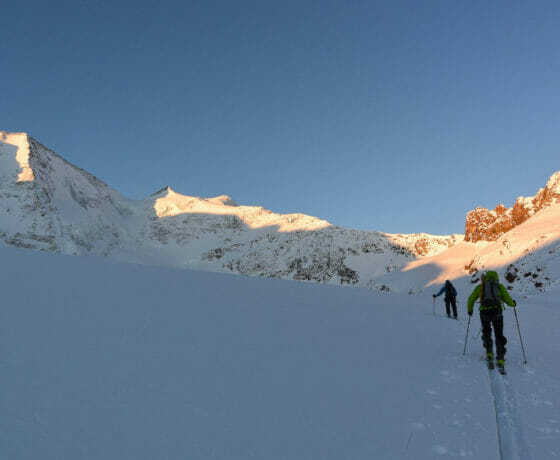 We meet for dinner at Berghaus Diavolezza at the top station. We leave early in the morning for the Pers glacier, where we prepare for the ascent. 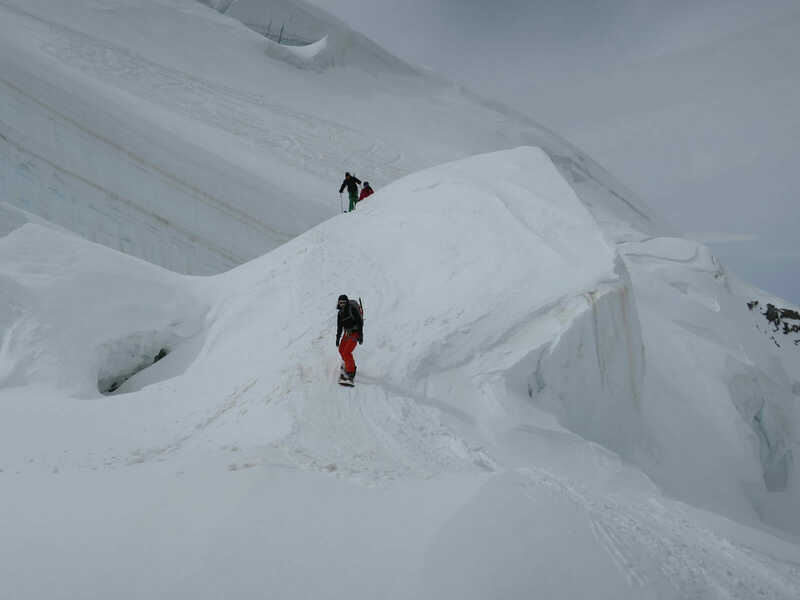 Leisurely we find for the way through the Cambrenabrüche with its impressive crevasses. 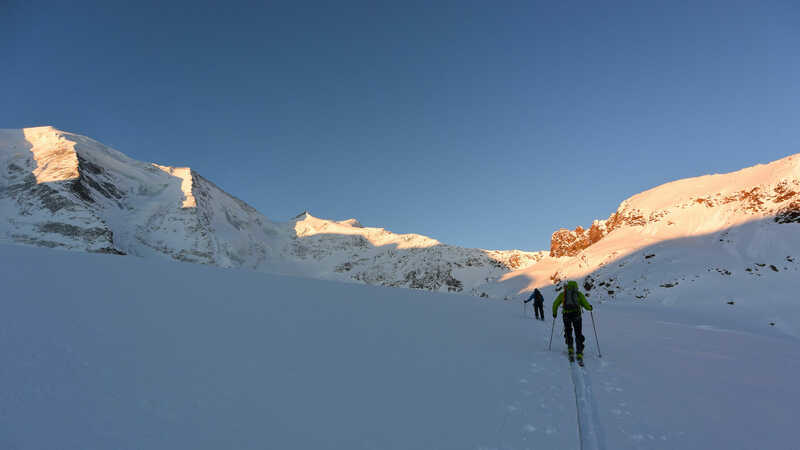 At 3730 m we leave our skis and climb with crampons and ice picks the last few meters up to the eastern summit of the Piz Palü. 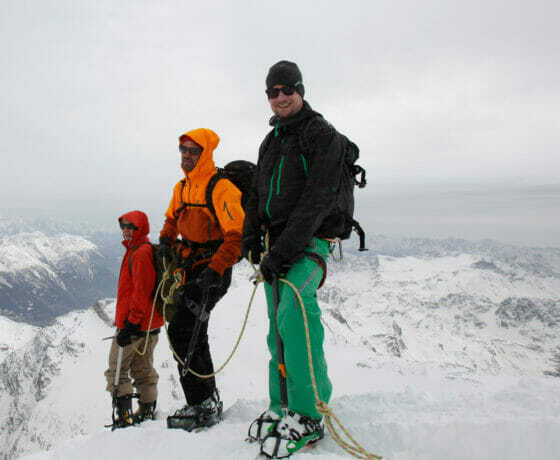 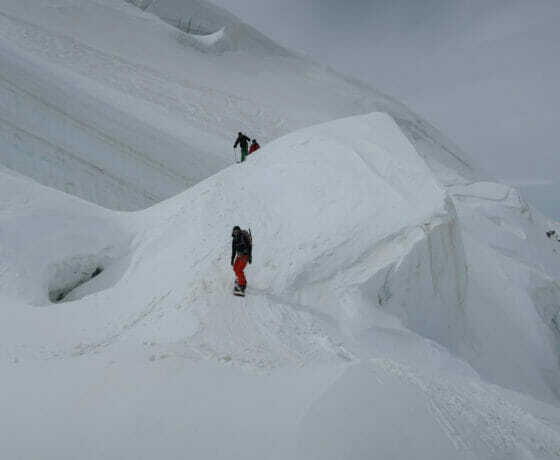 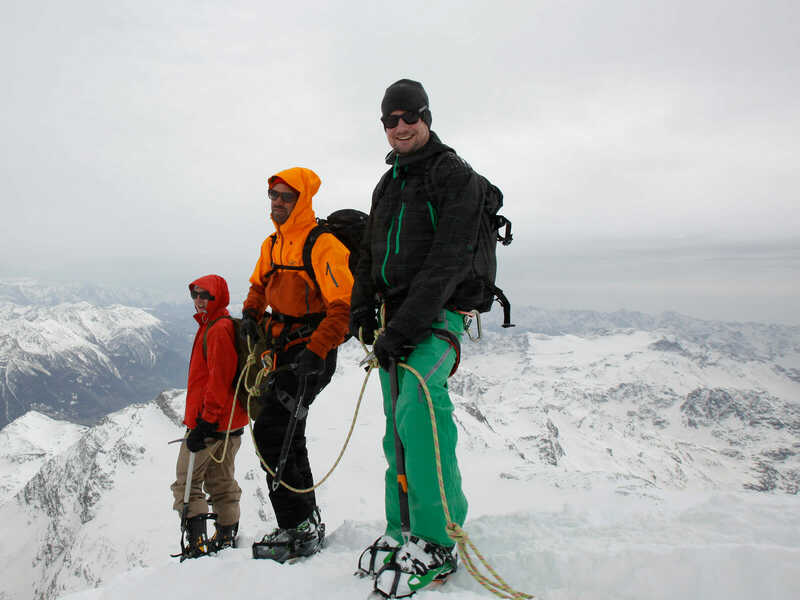 In good conditions, we go even further on the main summit with 3900 meters. 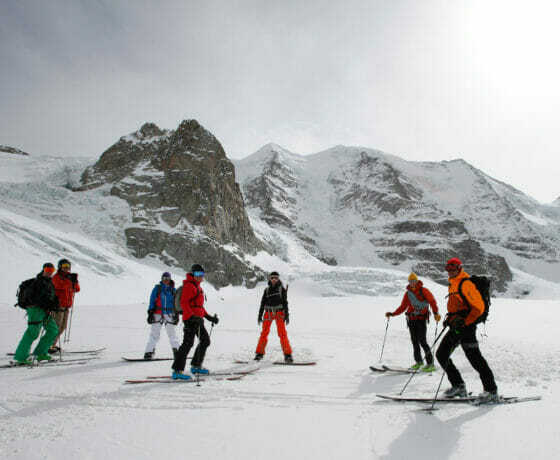 Ski tour experience required, Kick turn skill, sure-footedness and no fear of heights. 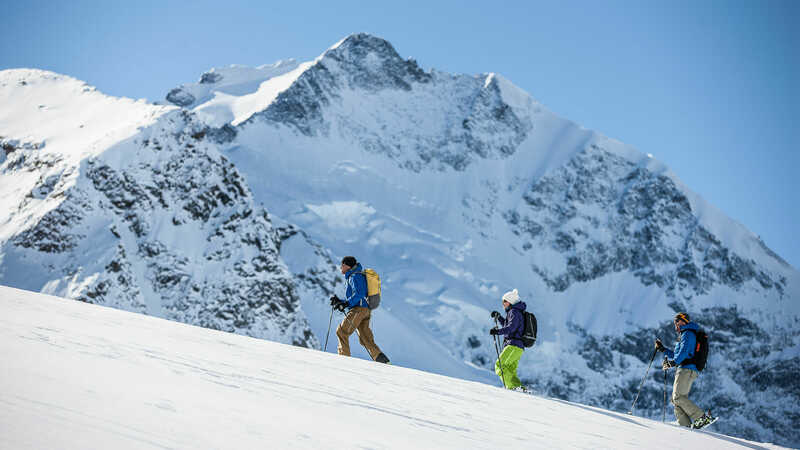 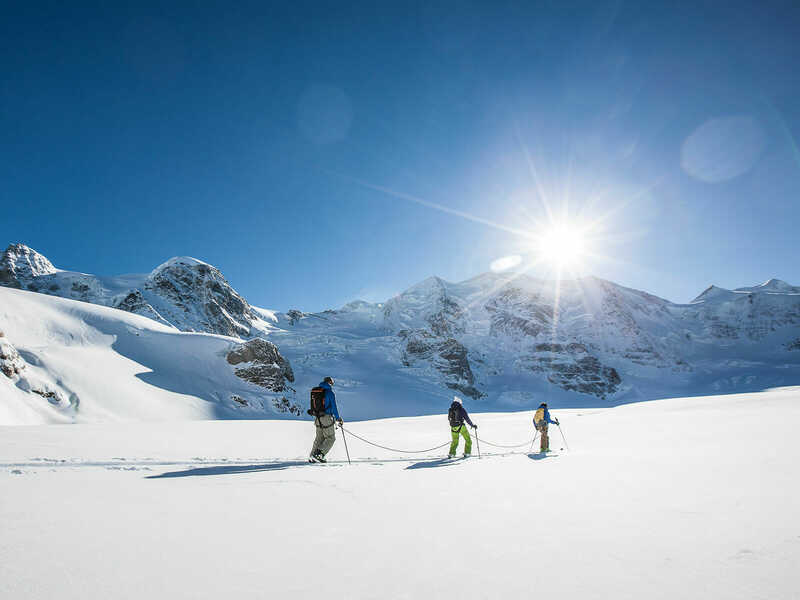 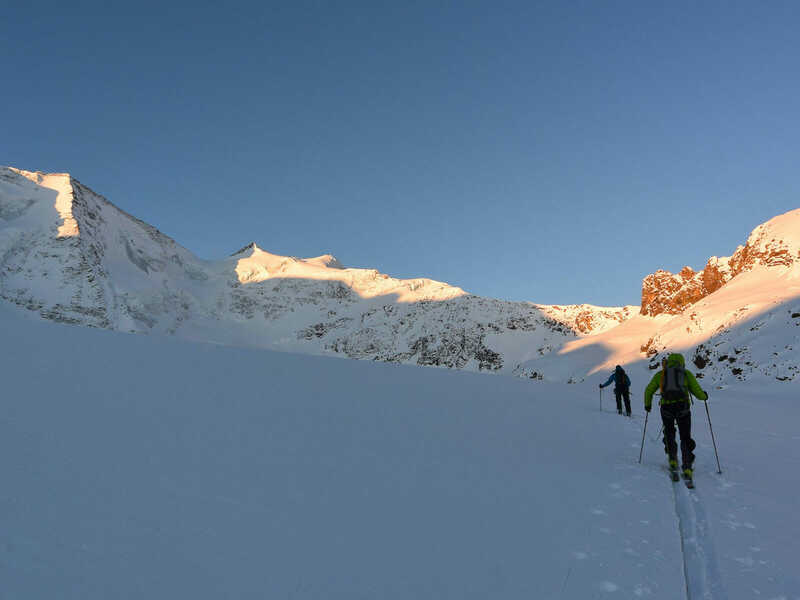 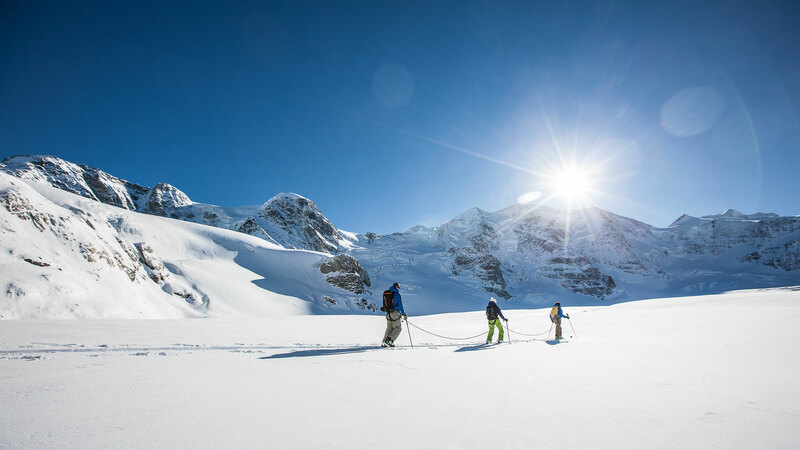 The tour on the Piz Palü is also possible with splitboard or snowboard & snowshoes, but requires very good touring experience. 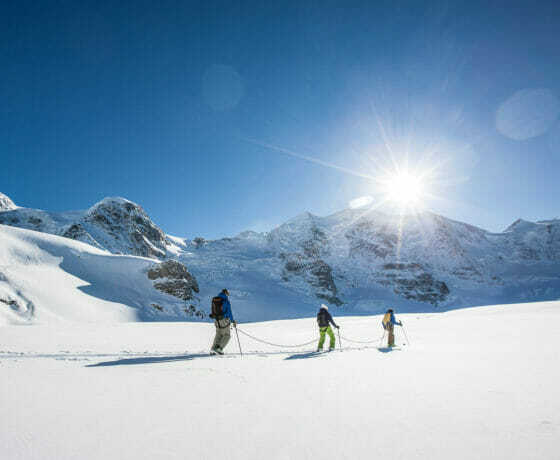 Parking is available at the bottom station at Diavolezza. 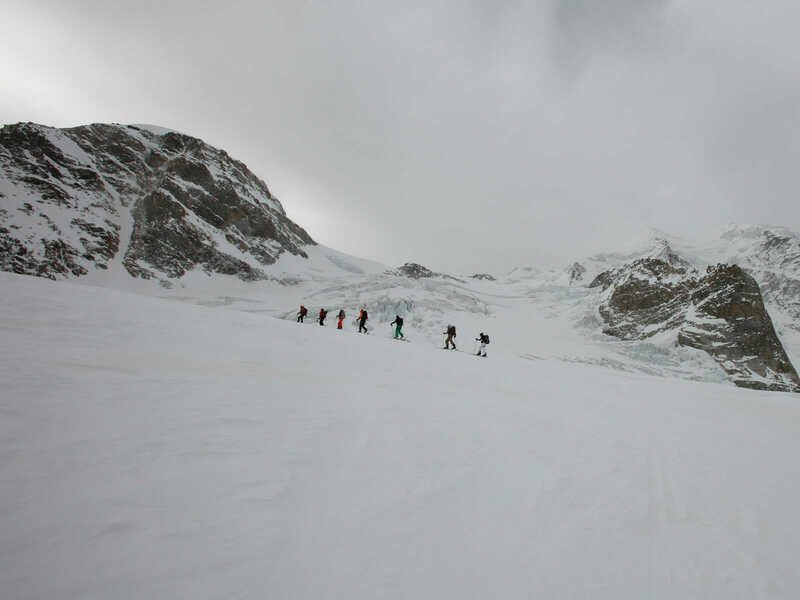 The Diavolezza Gondola is also easily accessible by public transport.